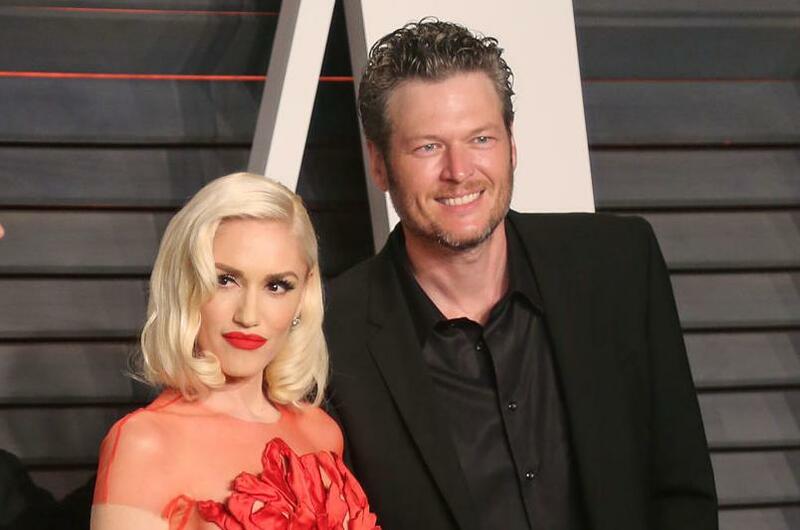 Celebrity couple Gwen Stefani and Blake Shelton got close during a family outing. The 48-year-old singer and 42-year-old country star spent Saturday at Lake Texoma in Oklahoma with Stefani's three sons, 12-year-old Kingston, 9-year-old Zuma and 4-year-old Apollo, according to KFOR. [post_ads]Stefani shared a number of photos and videos from the day on Instagram Stories, including a picture of Shelton nuzzling her neck. Stefani wore a printed top with several beaded necklaces and a baseball cap. The "Used to Love You" singer also posted a snapshot of Shelton with her son Zuma. "Double cute," she captioned the photo. Stefani is parent to Kingston, Zuma and Apollo with her ex-husband, Bush frontman Gavin Rossdale. Shelton said in an interview with Today in March that he loves being surrounded by Stefani's children. "I never saw that coming. But it's so fun," the star said. "At this point in my life, I kind of had put [having kids] as like, 'Well, that wasn't meant to be.' Then all of a sudden it happens -- one way or another -- and it's like, 'Wow, I really missed out on a lot,'" he added. Stefani kicked off her Las Vegas residency at Zappos Theater at Planet Hollywood in June with Shelton in attendance. She will resume the shows in December.